In my last newsletter I mentioned that I’ve been spending significant time doing some much needed “spring cleaning” for my book series. In addition to re-editing Journey to Aviad (which is done now), I am reading all of the series books in order. I’m sure I’ll catch and correct a few stray errors, but that’s not the main point. As I read, one of my tasks will be to make note of all of the little plot threads still hanging out there that I need to tie off in future books. I don’t know if other writers do this, but I love to leave little mysteries for myself as I go. In the moment they provide some color and intrigue--sometimes foreshadowing--even if I don’t know what for yet. Later on I can pick up the ends of these untidy little threads and continue to weave them into the larger story. Though it may seem that I’ve got it all figured out from the first book, the truth is it’s just as much fun for me as it is for all of you to figure out where those threads will end up. Some of my favorite plot twists and most profound character moments started off this way. Now that I’m going into my 6th book, I need to make sure that I’m not forgetting any of them. By the last book in the series, whenever that happens, there can’t be any loose threads left. I’ll try not to turn this into a spoiler, but an example is the village of Solis, which was destroyed by evil creatures in Ancient Voices: Into the Depths. Not a single living thing was left alive, not even the livestock. The mention of this tragedy brings tension and drama into the book, but at the time I added it to the story, I didn’t have a clear idea as to whether it was a random act of destruction, or if Solis was deliberately targeted, by whom, and for what reason. As Solis came into the story again in Visions of Light and Shadow, more mystery threads were woven in. Then as I was writing Shards of Faith, a clearer image began to emerge. It is still coming into focus, but I now know that the destruction of Solis was part of a plan far more sinister than I originally thought. The impact of what happened there will be felt throughout the series. 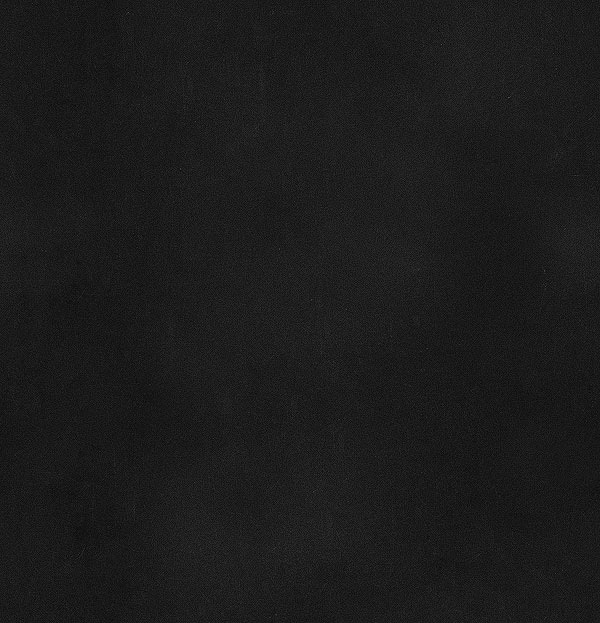 I won’t say more at this point, you’ll have to wait and see how it turns out…as will I! As mentioned above, the re-edit is finally finished! Most of the changes I made were minor and probably won't be obvious, but I did make some additions to Chapter 15. 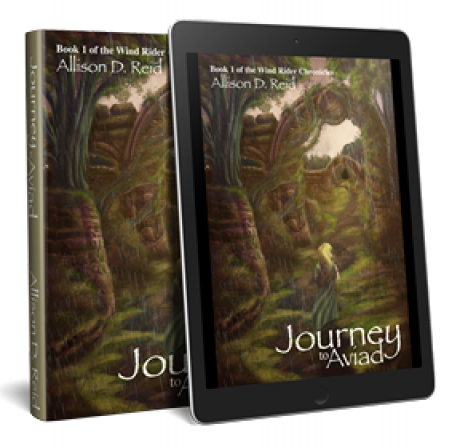 So if you are new to my series and haven't read Journey to Aviad yet, or you've already read it and think you might read it again someday, please download the latest version. You can use the link below for your convenience. 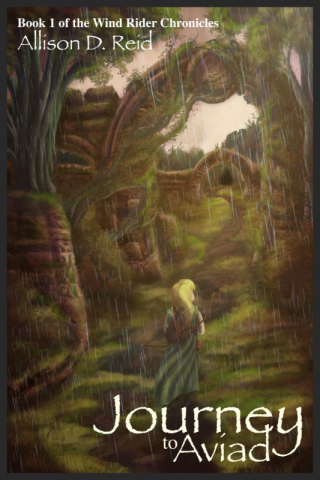 Remember Elowyn's garden from Journey to Aviad, and how good she was at growing things? 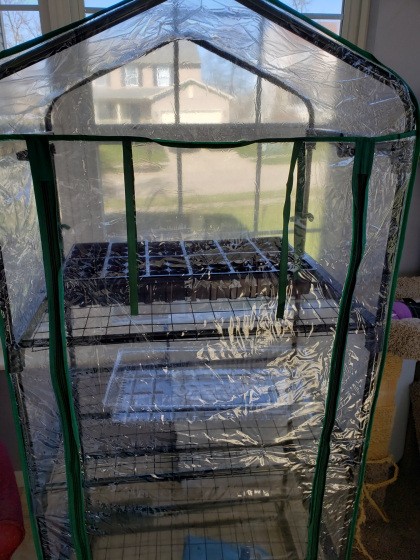 Well, I'm going to take my own stab at that with a mini greenhouse. I just put it together this weekend. I'd like to start growing some vegetables...lettuce, tomatoes, broccoli, spinach, maybe herbs. Why now? I'm fed up with grocery store produce that has no flavor and is already pushing the end of its shelf life the day I buy it. For the last three springs I've said I was going to do this, yet never got around to it. This year will be different! Unlike Elowyn, however, I have NO experience. Do any of you with green thumbs have tips for me as I get started on this little gardening adventure? I can't plant edible things in our yard, so I'll need to either keep what I grow in the greenhouse or in containers on our deck. Advice is welcome! Will I have the green thumb Elowyn does? Or will I be more like Morganne, who is less than thrilled with the discomfort of the labor involved, and quickly realizes that dirty hands and sewing don't mix very well? Guess we'll find out soon enough. And then I'll shut up...promise! Camp starts today, but I'm not quite ready to begin the new book yet. I'm still in the brainstorming stage, and diligently working through my series spring cleaning chores. I'll be sure to let you know when the next book is underway. I still have hopes for publishing in the first half of 2020. Some of you have signed up to be ARC readers through BookSprout-thank you for taking the time to do that! Today is the deadline for submitting reviews for Journey to Aviad. 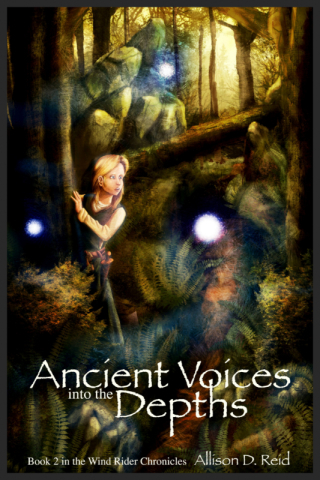 I will make a call for Ancient Voices next. 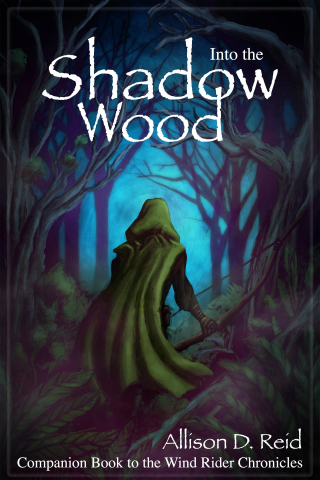 The deadline for Into the Shadow Wood is still a couple of weeks away. A few have approached me to say they don't like or can't use BookSprout but would like to be ARC readers independently. That's great too! Booksprout is just a tool and I'm not going to limit myself to just one way of doing things. If you want to be an ARC reader just let me know. BookFunnel has just developed some new tools too, which I still have to check out. Is your to-be-read pile getting a little thin? There are LOTS of great promos running right now, with plenty of free books to choose from. Click the images below to check them out. I've set up my ebooks on Payhip so that I can sell directly to readers! This is great news for several reasons. I can now offer discounts, and everybody loves those! Multiple download formats are available. Choose to get your download through Bookfunnel, and they can help you get the book to open on your specific reading device. Want a a printed copy instead? Buy direct through my author website and save over Amazon and other retailers. Before Morganne and Elowyn were born, Broguean took on the greatest quest of his life. 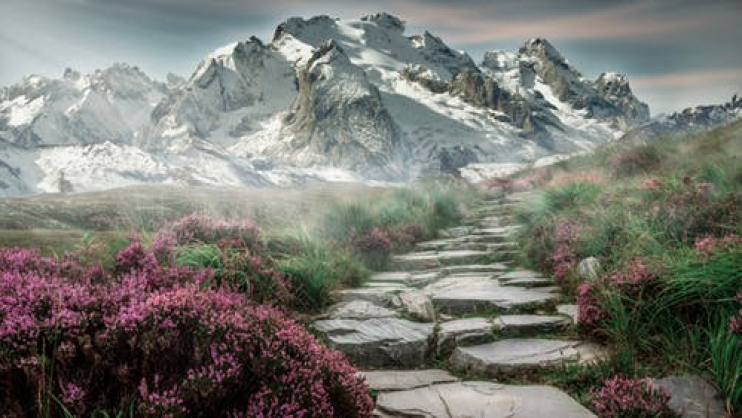 Follow him in this intriguing adventure story as he discovers whether he's really just a drunken bard or if there's more to him than meets the eye. 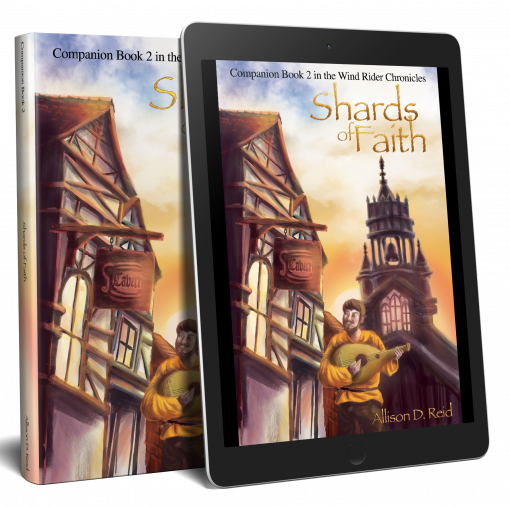 Shards of Faith is Companion Book #2 in the Wind Rider Chronicles. 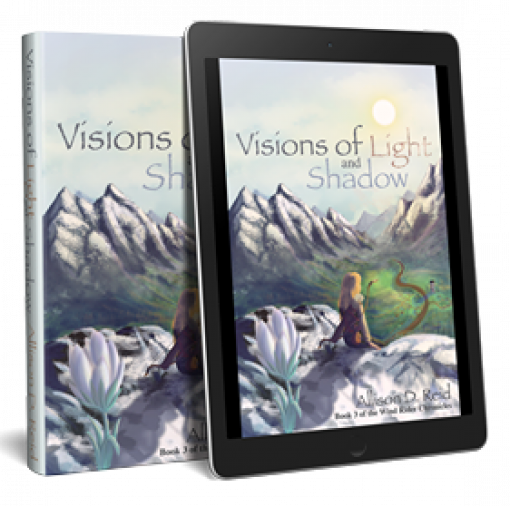 Best read after Visions of Light and Shadow. Morganne and Elowyn’s future in Minhaven has never looked so bleak. Thieves still stalk the miners, political unrest is increasing, and Morganne’s shop has been noticeably empty. Glak wants the girls to leave with the Kinship, but Morganne isn’t ready to abandon the life she knows. 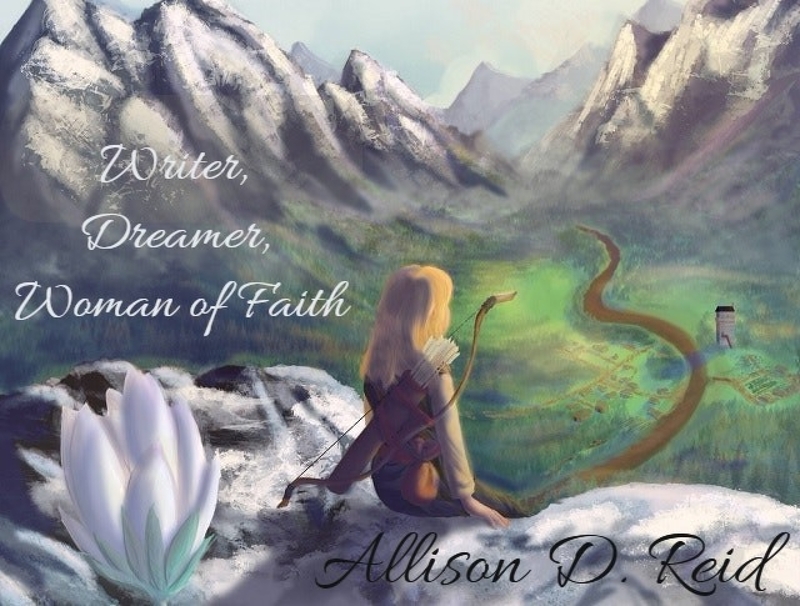 Can Elowyn convince her that Aviad has been calling them to follow the road beyond Minhaven, or will she be forced to go on alone? Has Braeden’s cruel reach followed Elowyn and Morganne into Minhaven’s remote wilderness? If so, there is no place left to run, and the Kinship is facing an enemy more sinister and powerful than they can possibly imagine. Plunge with Einar into the depths of the dark and twisted Shadow Wood, which will test the limist of his strengths, beliefs, and sanity. Will he manage to survive, or will he end up sharing Nevon's fate? Are you enjoying my book series? I'd love to hear from you. Also, please don't forget to leave a review at your favorite book retailer. Thanks for reading--have a blessed week!